We bring the stage on a trailer and it's setup ready for lighting and sound within the hour. So, not only is it a great stage and looks good, but it only takes two people to put it up in around an hour – and that includes a tea break. One of the selling points of this stage is us. Brian Two, an actor colleague and friend of mine and I put it up. We turn up well before anyone else and we leave after everyone has gone. "First in – last out as it were, rather like in my drinking days in my favourite London boozer, The Fuzzy Duck." What one needs to do on these occasions is to get on with everyone and to realise that everyone has their jobs to do and all are equally important – or unimportant depending on your take on life - in order to get the event up and running. We work alongside sound and lighting engineers to get the event on its feet as quickly as possible. Where Brian and I score highly is that we do everything with a great deal of humour. 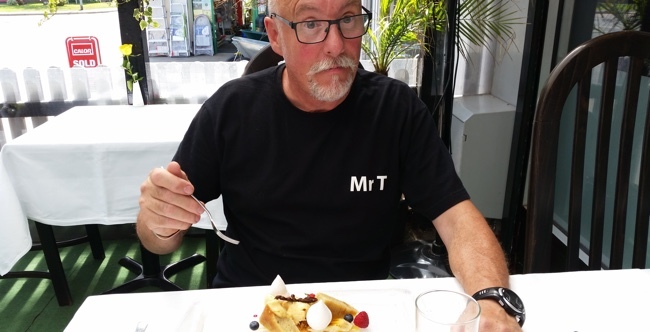 We have our tee-shirts with the company on the back and 'Mr P' and 'Mr T' on the front and invariably, by the time we are into the job, everyone knows who we are and call us 'Mr P' and 'Mr T'. We shout instructions to one another "Mr P, have you got the bolts for the legs?" "Yes Mr T, I have them here". We even have a Health and Safety code worked out. "Number 3, Check Mr T" – "Number 3 checked Mr P". It means nothing whatsoever, but we enjoy shouting to one another. Regardless of the weather and situation, Mr P and Mr T just get on with it and enjoy meeting all the people involved in different organisations. We are also well away by the time the 'Artistes' get to do their sound checks which is a blessing. By that time we have either gone, or are having breakfast somewhere. This Saturday, we took the stage to Sussex for a Rotary event. We left at 07.30, arrived at 10.45 and had it up by midday when the sound and lights turned up. Obviously we weren't going anywhere and so we waited until the lights were up and then put the stage to its final height thus saving the sound and light guys having to totter about on step ladders. We then went into Heathfield and found a bistro where we lunched. 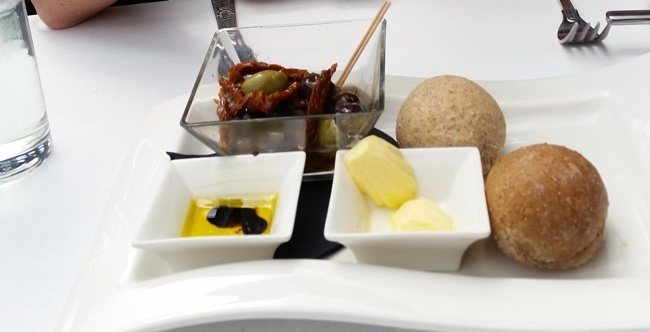 We like to eat well and it is part of the David Pibworth Productions ethos that whoever is working the stage gets fed and watered well on the company. This was Peanut Butter Mouse with sticky banana cake, caramalised banana, a mini meringue and toffee sauce. While eating we discussed - in some depth - the Greek Euro problem, the Labour leadership contest, our favourite characters from Wacky Races and who on earth came up with the combination of the pudding we were eating. We then had a coffee and some mints and took a stroll through the town. We went back to the event, took out our chairs and watched the entertainment which finished at about 22.00. It took the sound and lighting guys quite a while to clear everything and we finally dropped the stage, secured it all and were the only people, save one security chap, on site, but we were still cheerful. We drove home and I got to bed at 04.35. So a longish day, but there you go. Who can I complain to? Me I suppose and I just don't take any notice of myself. It's business and that's that. "And the reason we keep getting the business is that we make the most of whatever we do." 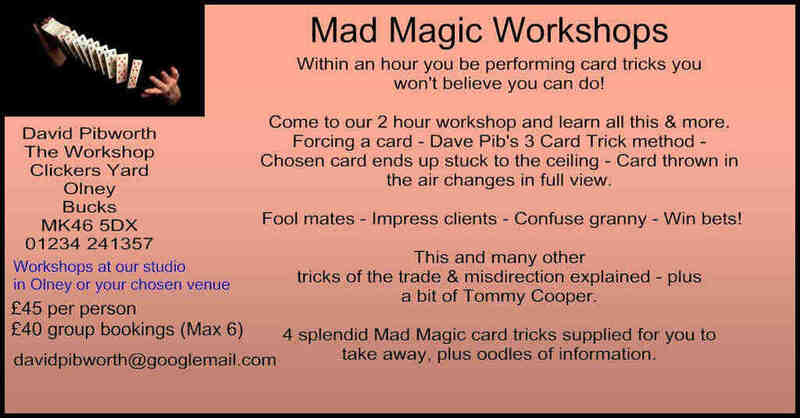 We cheer people up with Brian's various mad characters he drops into (especially his 'Scotsman') and my magic tricks. We tell jokes and observe people and we never get grumpy about anything. Oh and we do the job well. I'm not sure that I could run a corporate workshop on the success of this business and I'm not sure I'd want to, but it works for us and that's the main thing. If you'd like to find out more then visit our Stage Trailer Hire website. Have fun and don't try to be important, that's our rule. If you're looking for stage hire for your gig or local festival this summer then we'd love to help you out. Call me on 01234 241357 and get a quote. Planning an event for 2016? Call me as soon as you can as our stage trailers are very popular and book up quickly.